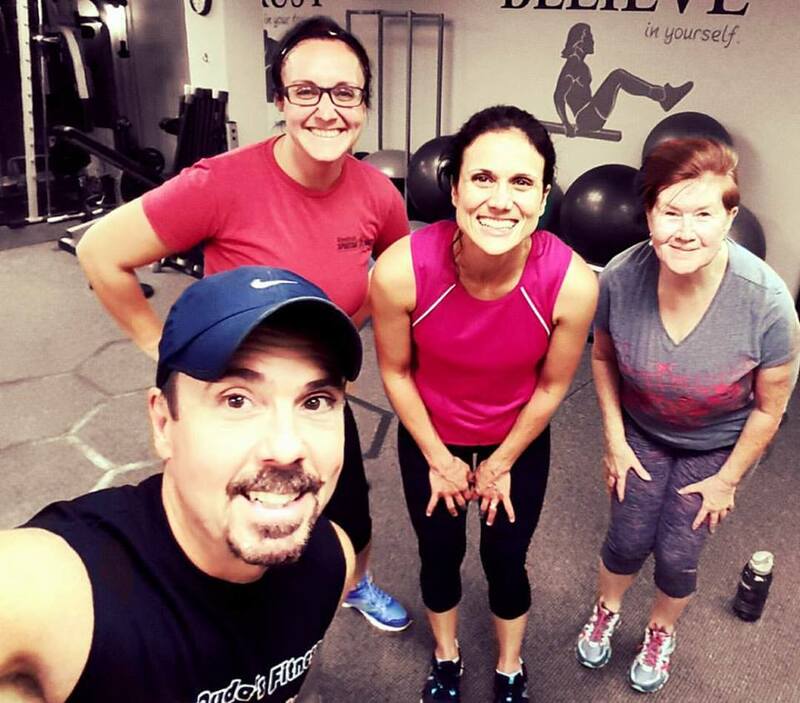 Looking for a group workout program the will give the burn you want but keep it fresh and new each class and with modifications provided when needed? 20% Off New Year Resolution Spceial on a 20 Session Package! Speical ends Jan 31! Thad’s Tabata & Core HIIT Workout provides just that. This 45-min workout really packs a punch. So, what’s a Tabata and a HIIT? A Tabata is a type of circuit workout. A traditional Tabata contains 8 exercises and for each exercise you complete 8 cycles of 20 seconds working and 10 seconds rest with a 1-minute rest between each new exercise. Because there is very little rest, the workout is very aerobic keeping the heart rate up helping you to get a better burn and help condition that old ticker as well as your upper-body and lower-body. A traditional 8 exercise tabata takes 45 mins. 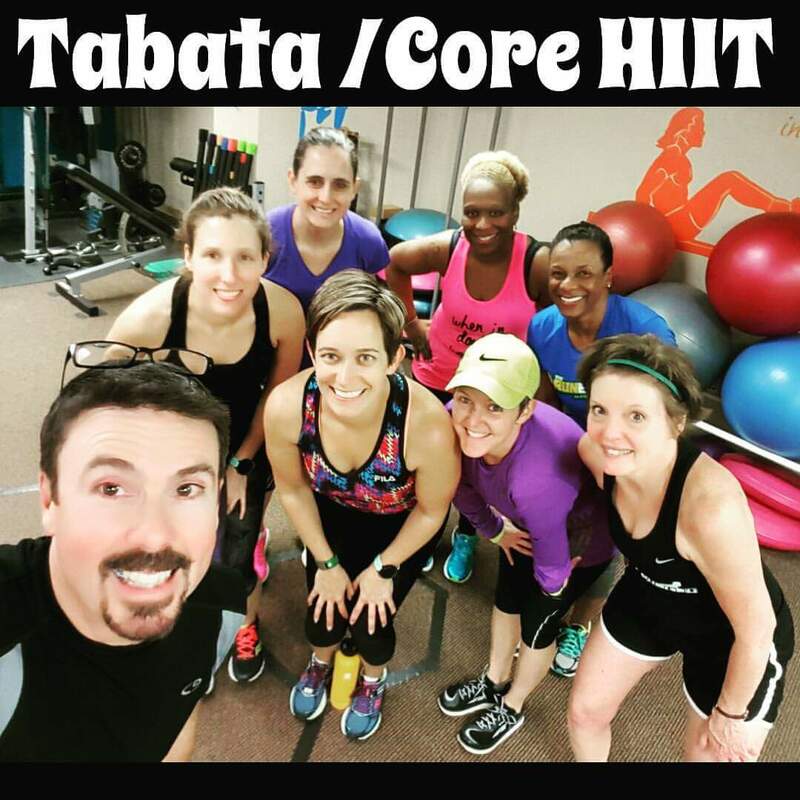 Thad’s tabata is a twist on the traditional format taking 30 mins with participants completing 6 different exercises each for 6 cycles of 30 seconds working and 10 seconds rest with a 1-min rest in between each new exercise. So, what will fill the last 15 mins of class? Why a Core HIIT of course! What’s a Core HIIT? Well, “HIIT” stands for High Intensity Interval Training. A HIIT consists of 6 exercises. Participants do as many reps as they can each exercise for 20 seconds; then with no rest, they move right into the next exercise and do the same until all 6 exercises are completed. A 1-minute rest is taken and then the cycle is completed again for a total of 4 cycles. That’s HIIT will focus on the Core. Core is 360° not just your abdominals, so you’ll be working the front, sides, and back of your torso. This type of workout is quick and intense giving you a great workout. In 45-minutes you’ll have worked your upper-body, lower-body, core and your heart. What more could you ask for! Save and buy a Package! You use your sessions as you come. So, if you can’t make 10 workouts in a row, you don’t lose anything! You have 12 months to use all your sessions in a 10 or 20-session package. Note: All packages expire 12 months from purchase date. All sales are final. Credit can be applied towards other programs available at RunnerDude’s Fitness.